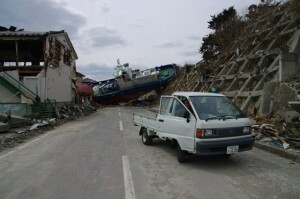 Sciencescope, Frech-speaking researchers and students in Japan, will hold a fundraise event for Tohoku Tsunami victims. Sciencescope is now raising funds that will be given to schools through a Japanese group of volunteers, http://fumbaro.org/en/, to buy stationary and writing materials. At the event Sciencescope will invite two special guests. and Dr. Laurent Jalabert (LIMMS) will share his experience as a volunteer in the Tohoku. wishes to support the children from the Tohoku area by helping them to resume normal schooling. *A minimum donation of 1,000 Yen is required. *A discussion are presented in English too. thank you for sending the following information to the president of the association (president@sciencescope.org). A notice of receipt will be send in return. : your name and address, date and amount of the transfer.